This product is NOT available for shipping, it must be picked up in the store. Move behind the classic bicycle when you purchase the best bicycle for rough terrain and long rides. Made for those who are looking to climb steeper angles, take sharper curves, and get to higher heights. This bicycle is lightweight and provides a comfortable ride due to the innovative technology. 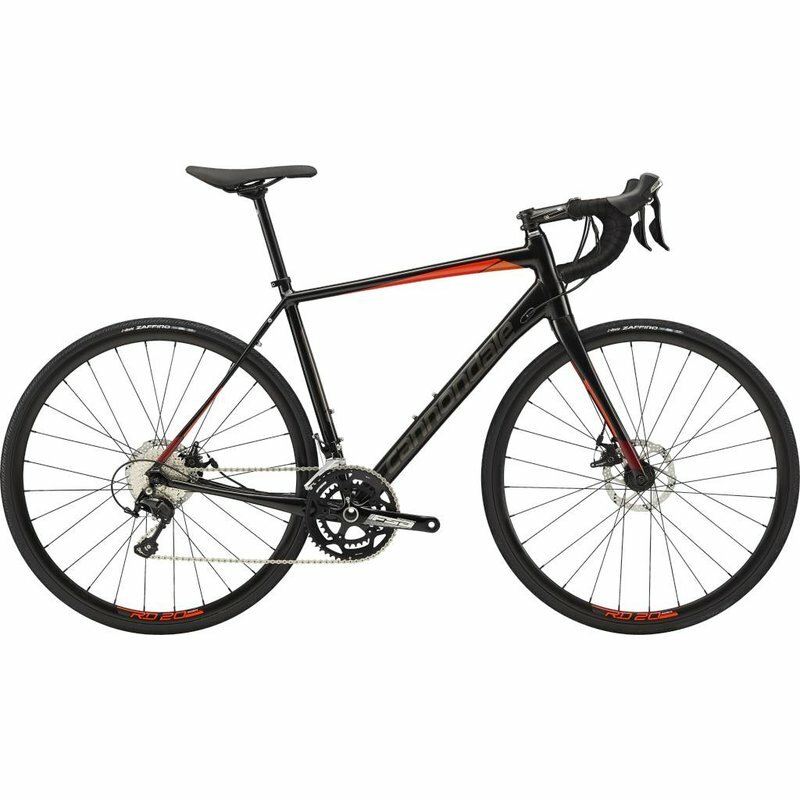 This is the best bicycle due to the Carbon blades, Vittoria Zaffiro tires, and compact handlebars. You’ll be able to go on difficult terrain because of the Save Micro-Suspension that helps to make the ride less harsh despite choppy roads. The endurance race geometry will provide the perfect balance of performance and full race aggression to ensure you stay comfortable throughout your ride. With hidden mounts and a removable seat, you’ll be able to ride long and hard no matter where you are on this bicycle. Stem Cannondale C3, 6061 Alloy, 31.8, 6 deg. Race Level StiffnessAn asymmetrically designed frame and fork balance pedalling and disc loads to deliver World Tour sprinter level stiffness. Get ready to lay down power and rail corners like you wouldn't believe. Save Micro-SuspensionEngineered to tune the harshness out of choppy road surfaces, and tune you in to what’s happening at your tires’ contact patches, so that you can concentrate on the important stuff – like nailing the right line or beating the sun home. Endurance Race GeometryEndurance Race Geometry strikes the perfect performance balance between full race aggression and the relaxed upright comfort of other “endurance” rigs. Fender UpHidden mounts and a removable seat stay bridge ensure that the Synapse is fully fender-ready for long days with no spray. Room For 32Embrace the backroads, the rough roads, the highways and the byways. With room in the front and rear for tires as big as 32mm (measured/actual) and SAVE Micro-Suspension, Synapse is ready for any road, anywhere.